Welcome, Home to comfortable living in the heart of Fairfield, Ohio. Immerse yourself in contemporary comfort, mature landscaping, and thoughtful amenities. Whether you’re relaxing on your private patio or spending time with your furry friend at our fenced in bark park, we’re sure our community amenities will not only meet but will exceed your expectations. You deserve the best in apartment living, and our community offers an engaging lifestyle for everyone. 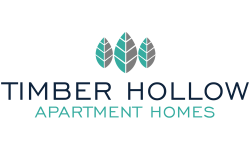 We invite you to take a moment to browse our photo gallery and an extensive list of Interior Apartment Amenities to see why Timber Hollow is the perfect fit for you! Pets are welcome with approved pet application, pet fee, and interview. Certain breed restrictions apply.